Funding for the reconstruction of Notre Dame is piling up at a spectacular rate, with two of France's richest families together quickly pledging 300 million euros ($339 million), in response to a call by President Emmanuel Macron for donations. "LVMH Group will put at the disposal of the state all of its teams — creative, architectural, financial — to help on the one hand with the long construction work, and on the other hand with the fundraising effort," the Arnault family said in a statement. 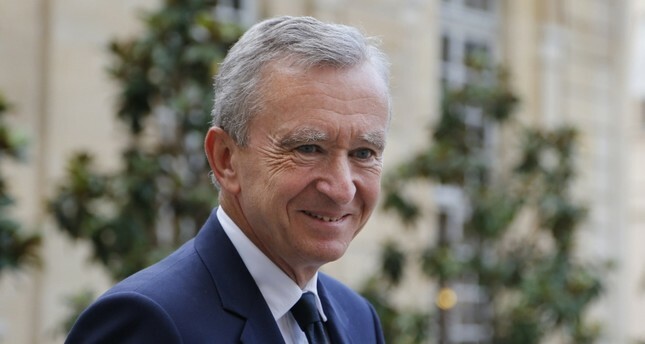 Bernard Arnault is the world's third richest person, with a fortune estimated at $90.4 billion, according to the Bloomberg Billionaires Index. Francois Pinault is the world's 23rd richest person, with a $37.3 billion fortune. Macron on Monday night pledged to rebuild Notre Dame that he called "a part of us" and appealed for help to do so. Paris' regional Ile-de-France regional government around Paris will allocate 10 million euros of emergency aid for the initial work to rebuild the historical cathedral, according to the elected regional head Valerie Pecresse. Individual donations can be directed to the non-profit Fondation du Patrimoine, she said in an interview on Radio Classique. Firefighters declared success Tuesday morning in their more than 12-hour battle to extinguish the flames that engulfed the iconic cathedral.